You'll be £12.99 closer to your next £10.00 credit when you purchase Bruneval. What's this? The Bruneval Raid, launched against a German radar installation on the French coast in February 1942, was unique: it was one of the first fully combined operations put together by HQ Combined Operations under Mountbatten; for the first time a unit of the newly formed British Parachute Regiment went into action; it was the only raid carried out purely to satisfy the needs of scientific intelligence. It was highly successful and the results achieved were out of all proportion to the resources committed. This book covers the development of radar, the search for German radar in the Second World War, the discovery of Würzburg radar at Bruneval, the planning and preparations for the audacious raid, its highly successful execution and the aftermath. There is a wealth of colourful characters involved, from world-class scientists, outstanding reconnaissance pilots, Resistance agents, famous sailors, soldiers and airmen, an escaped German Jew and, most importantly, a vast number of ordinary people involved doing extraordinary things to win the war against Hitler's Germany. As seen in the Wiltshire Times. Using 200 photographs and a dozen maps the author comprehensively describes the operation and explains the significance of the equipment recovered. This excellent little book is the latest issue in the 'Battleground' series of over 120 titles. The author is to be congratulated on producing an outstanding addition to our WWII military knowledge. The definitive account of this successful raid. 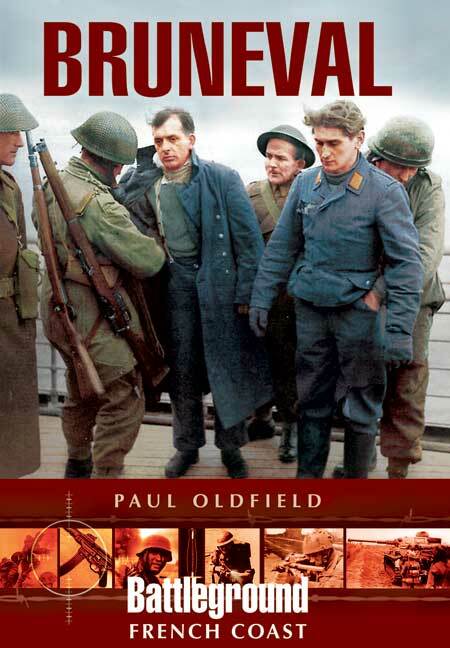 Author Paul Oldfield has researched this book thoroughly. He starts with the history of radar and those who developed it and ends with the aftermath of the raid. This text is complimented by plenty of fascinating photographs. This is a book that will be of interest to readers of World War 2 airborne operations. Paul Oldfield describes the story from the scientific struggle for superior radar, intelligence gathering and planning of the raid to the attack itself, the withdrawal of the force and analysis of its aftermath. Like all books in the Battleground series, Bruneval may be used as a mere, though utterly comprehensive, battlefield guide, but the sheer quantity of maps and photographs coupled with the authoritative but concise narrative make it a highly satisfactory historical study in its own right. A very interesting story told in great detail and in a very readable state. It is highly recommended, not only for serving soldiers and military buffs, but it should be read by many others, who should be better informed of the battle fought by their ancestors, to preserve their present freedom. As an historical account of an exciting and important action, this book deserves to sell very well. The true story has many elements of the successful thriller and has provided the basis for a gripping account of an outstanding feat of arms. It also marks the first action of the newly formed British Parachute Regiment that was to play an important role in support of the D-Day Landings and advance towards Germany and victory. However, the book has one further advantage. The author is a battlefield guide and battlefield tours have been growing in popularity as the veterans of WWII die out and their children and grand children want to visit the battlefields and understand the importance of the fight ...this book is therefore also essential reading for anyone wishing to visit the area and walk the battlefield.